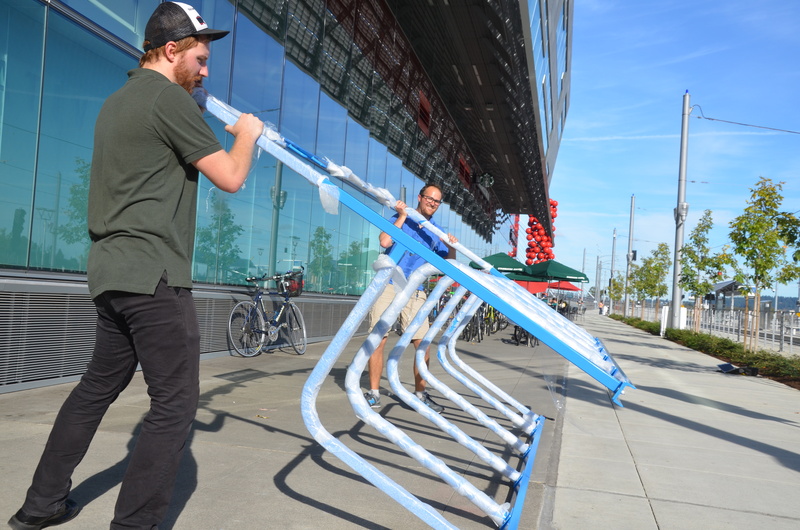 OHSU Transportation Options Coordinator John Landolfe and Go By Bike owner Kiel Johnson hoist the second bike-share rack into place in the South Waterfront. 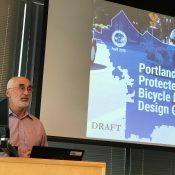 Pushing to grow its workforce without pouring precious cash into garage construction, Portland’s largest employer continues to roll out bike-transportation improvements. 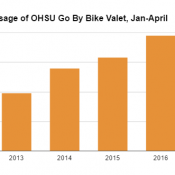 Next week, Oregon Health and Science University plans to became the latest major company (following Nike and Intel) to introduce a private bike-sharing system for moving quickly around its campus. “Basically we just copied what Nike does and made it blue,” said Kiel Johnson, owner of the Go By Bike shop and valet, of the 13-bike, two-station system. His team will operate it. Like Nike’s system, this one operates using the Open Bike Initiative sharing system developed by Intel. For the moment, the system has just two stations: one at the base of the Aerial Tram and OHSU’s Center for Health and Healing, and one at the Collaborative Life Sciences Building at the west landing of Tilikum Crossing. The latter location is also the closest stop for the Orange MAX line and Portland Streetcar’s newly completed A/B Loop. The stations are about a quarter-mile mile apart, linked by Moody Avenue’s protected bike lane. The shared bikes themselves are Civia-brand five-speeds, with internal hub gearing and lights that are activated and charged by wheel rotation. Each is equipped with a front basket. The racks are local, too: they’re made by Huntco, OHSU’s main bike rack supplier. Johnson said the arch that advertises the service is modeled after bike racks at ski resorts. 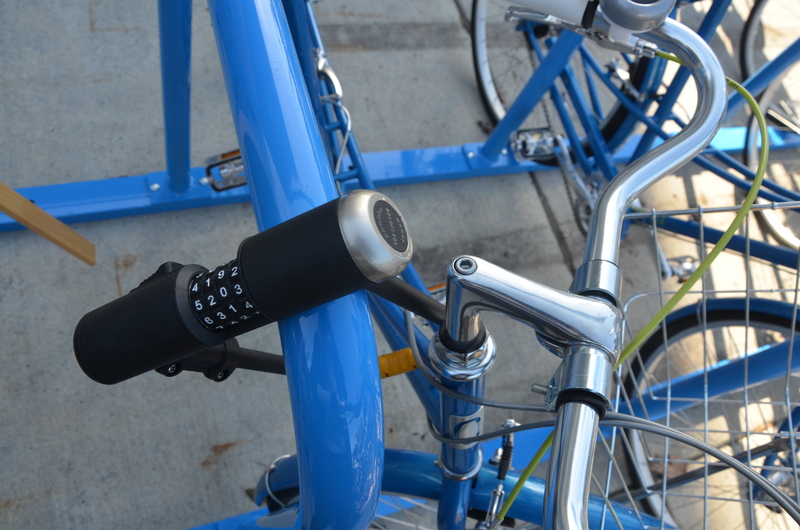 The system’s startup costs are $8,600, Johnson said: $2,500 for the two racks, $400 per bike and $900 for system setup. Johnson said he expected the operating cost to be “around $2,000” a year for maintenance, rebalancing and customer service. Corporate bike share systems have become popular in recent years. In addition to Nike and Intel, OHSU is following the tracks of companies from Google to General Motors. Daimler Trucks North America has a system too. We got it a couple of months ago. It isn’t quite as high tech, but it works pretty well. While I think overall this is a good idea. I don’t know where else you would put them at OHSU considering all of the other building are at the top of the tram. some people need to travel back and forth between the top of the hill and the Collaborative Science Building. It’s a bit of a hike from there to the Tram, and I can see how jumping on a bike would speed that up if you are in a hurry. You may be describing a valid scenario for use of the bikeshare bikes, but I guess I’m not picking up on it. Won’t people be using the tram to travel between Moody and the complex up on the hill? A quarter mile between the Moody tram station, and over by the west access to the Tillikum, is just a 5 minute walk. There may be some other regular distance traveled by OHSU employees that this system was conceived for; I wonder what that is. It also seems based on their TOS when you go to sign up, that you actually get the bike until 10am the next day, so that actually significantly their range and utility. Up to 24 hrs use? Can’t beat that for free. Can the programs managers be thinking for employees to use the bike to travel to their homes and keep them overnight? We’re talking 1/4 mile though (I would not classify that as a bit of a hike), I think it would probably be a wash in time just unlocking and locking the bikes (not to mention you have to cross Moody twice, since bikes aren’t supposed to ride on the east side where the tram and this building are) compared to just walking between the two in less than 5 minutes. Agreed, doesn’t seem worth the trouble for 1/4 mile. What they *really* need is an umbrella share between the tram and CLSB. Maybe they could copy Nike’s Umbrella Program too! 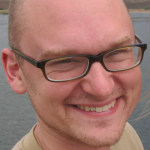 I asked my coworker at CLSB if he would ever use the bike share if he had to get to CHH fast, and he chortled and said, “Pfft, I get paid by the hour.” Sample size of one, but he is a bike commuter already. And there are no easy ways to get from the waterfront to the top of the top of the hill in a remotely direct matter. You have to get across 99, and the only way through is a urine soaked tunnel. Barbur is the next challenge, and if you make it across you have to take a dirt footpath up the hill to Terwilliger. gibbs street pedestrian bridge –> corbett –> hamilton –>terwilliger. Interesting. I wouldn’t have thought of that because it takes you a bit far south. I might give it a try though, as it would be nice to use Tilikum and bypass downtown completely. It would be nice to have a marked crosswalk on Naito around Curry. Still, crossing there and taking the sidewalk up to the crosswalk on Barbur just before Lane has been nicer than Corbett and with less loss in elevation. Landolfe says OHSU has five sites in the South Waterfront and three more are under development. Here in Salem, the hospital who is creating a tighter relationship with OHSU, has cut down old Oaks and torn down historic buildings to expand including building an unnecessary parking lot and donated $50,000 to the anti-payroll to tax to fund weekend bus service. Portlanders need to help us working in Salem to make our city a better place. Call, write or email OHSU and tell them to pressure Salem Hospital to support transit and bikes and stop supporting auto only transport. It’s Oregon. How about covered bike racks? Yeah, I never really understood why they don’t have the bike valet parking covered. I wonder if more people would use it in the winter if it was covered? there is covered electronic key-entry parking at CHH (and many other locations at OHSU). 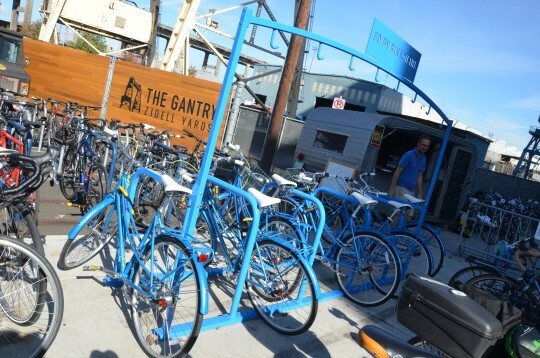 people prefer the quick on-off convenience of the bike valet. I know I would be more inclined to. One factor is that the whole setup has to be portable so it can be cleared away for tram maintenance one or two times each year. It would be great to have a rack at the Bancroft building as well! I think the idea is that you could take Trimet (Orange line or Streetcar) to the Tilikum/Moody stop and then can take a bike from there to the hill (probably via tram). 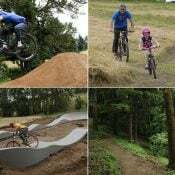 You would then have the bike for the whole day, could bike down off the hill at night and hop back on Trimet to finish your commute. Or bike home to see what it feels like. Maybe we’ll get some new bike commuters out of this experiment. Multi-modal transport options…I like it. I’m already a bike commuter to the CLSB, but I’d like to take one of the bike shares for a spin sometime. zooming down those s-curves on sam jackson park is pure fun. Indeed. I’m not sure where the idea came front hat the focus is transporting between the 2 bike racks. I assume users would be borrowing a bike to take it anywhere but those two locations. 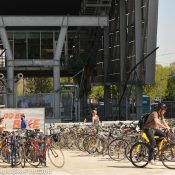 If I take transit in to OHSU, I can grab a bike and go get lunch at Little Big Burger or take a ride on the waterfront. because that’s what “bike share” is. What you’re talking about is more bike rentals or a library model, which I could see some usefulness out of. I think that all depends on the details of the program. If this is a more traditional bikeshare, people would only have the bikes for a short time 20-30 minutes. Thanks. I think this is more of a bike library than a bike share system.